Read the Farm Heroes Super Saga Tips Guide and be a PRO at this game! The game from KING is called Farm Heroes Super Saga and it’s amazing! 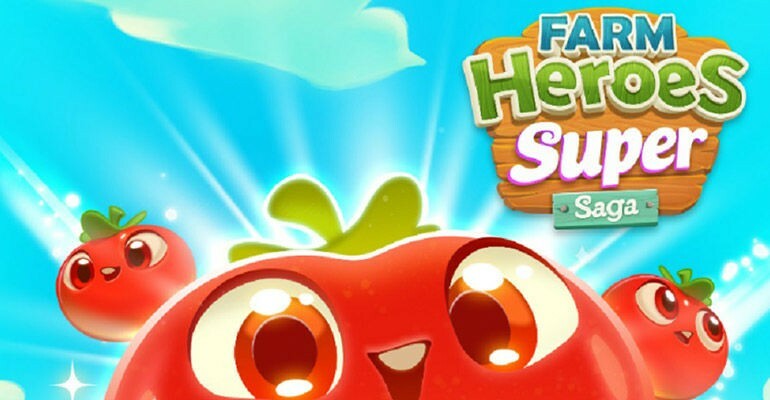 We put together the best tips and tricks guide for Farm Heroes Super Saga. Read the information below here and make yourself proud playing this awesome game. Read all about the new boosters and the new level modes in Farm Heroes Super Saga. Good luck! 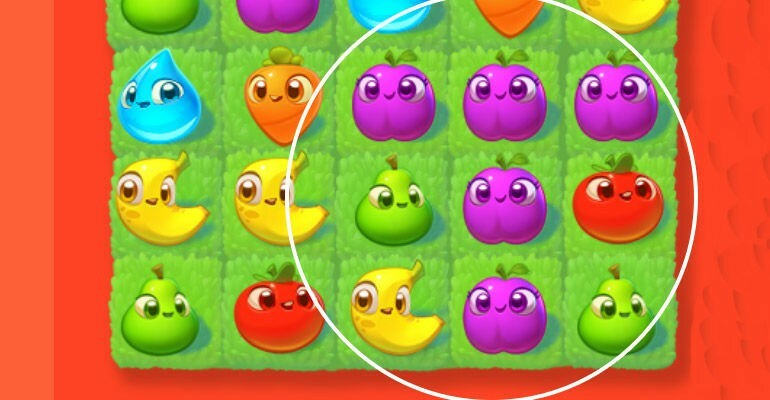 Tip: Matching 4 crops in a square will create a Super Cropsie! 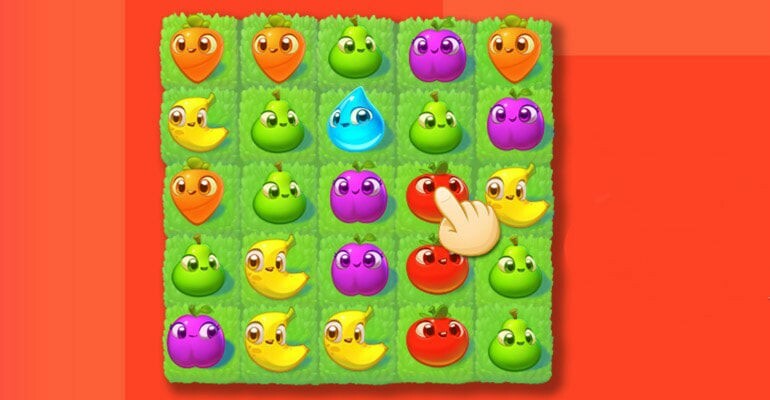 Matching 4 crops in a square will create a Super Cropsie! Matching 4 cropsies in a vertical or horizontal row will create a +1 bonus to the cropsies important for the level. Matching 5 cropsies in a vertical or horizontal row will get rid of the all cropsies of the same type. And this will add a +1 bonus to the cropsies next to the blast. New feature: Add points to neighboring cropsies! Make a match with four cropsies of the same kind and something nice will happen. Making the combination with four cropsies will add 1 point of value to neighboring cropsies. Read more of the Farm Heroes Super Saga Tips Guide down here! Five cropsies combined in a row will remove all cropsies of the same type of crops off the board. Create a T or L shaped match of 5 cropsies. This will create a line blast that adds 2 points extra to the cropies which you have to collect in the level. 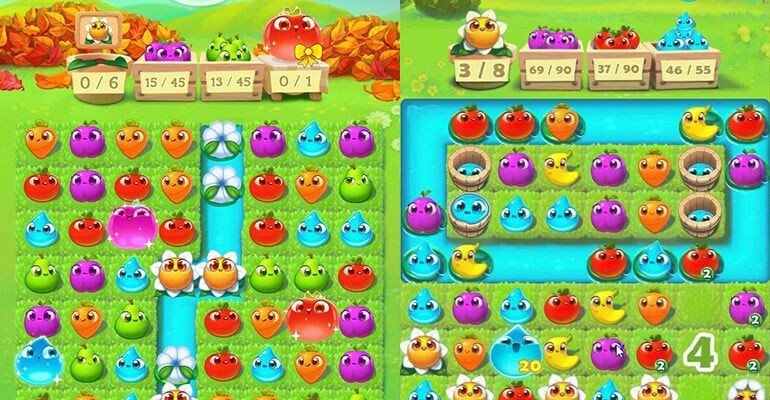 Farm Heroes Super Saga has some new level modes. They’re pretty awesome. With every level mode we provided a good tip to finish the levels faster. A Farm Heroes Super Saga new feature is the boss mode! The famous character Rancid shows up on random moments during levels. He is throwing rubbish into the playing field. This makes is a lot harder to finish the level. You can fight Rancid making combinations next to the waste he threw into the field. The garbage will be thrown back to him. After a few hits he will be taken out. Make the garbage your first priority to get rid of. After a while there is not enough space left to make good combinations. Try to get rid of Rancid and then finish the level. The collection mode is most famous one. It’s a well known game mode from the previous KING games. 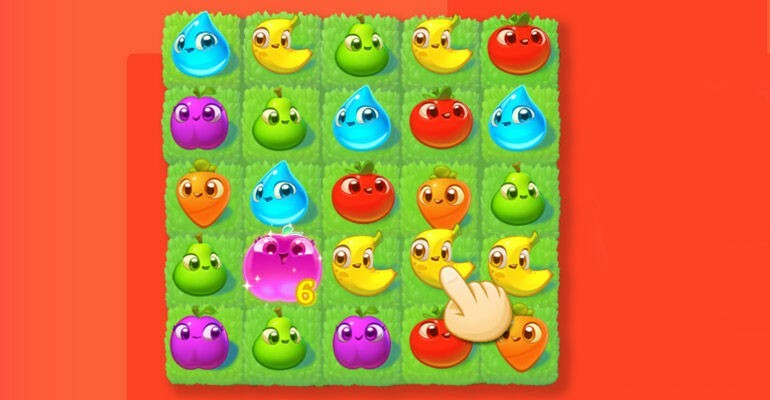 Collect the right amount of cropsies, the objectives are shown on the top of the screen. Try to use the super cropsies as much as possible in the collection mode. You’ll reach the objectives much faster. Go for the cropsies with the little numbers next to them. Wake up the sleeping flowers in the level. Make good combinations (the bigger the better) next to the sleeping flowers and slowly they’ll wake up. Try to make combinations in the playing field who hit multiple sleeping flowers in one move. Try to make the goat run and getting rid of the croppies. This mode is pretty nice. Make combinations in a horizontal of vertical line with the goat. The goat complete one row in the level. The special goat move! Make many moves next to goat and reduce the goat counter to zero. When the counter reaches zero the goat will make a special move. He jumps to the nearest Hay spot. In the Nut Mode you’ve to make combinations bringing the nuts next to the squirrel. When the nut is next to the squirrel it will automatically collect it. Just like the goat the squirrel also has a special counter. Make combinations next to the squirrel and the counter will reach zero. Now the squirrel is able to collect all nuts in a range of 2 spaces. The Wind Mode is a new game mode in Farm Heroes Super Saga. The refilling of the cropsies will follow the swipe you’ve made in the last combination. Keep in mind the way you make your combinations. When you need to collect something on the bottom of the field, try to swipe vertically. We hope you enjoying reading the Farm Heroes Super Saga Tips Guide.